Because the New Year finds me light-hearted and clearing out a ton of sentimental &/or forgotten crap, to dance laughing round a giant freedom pyre, I thought it’d be nice to share something with you. 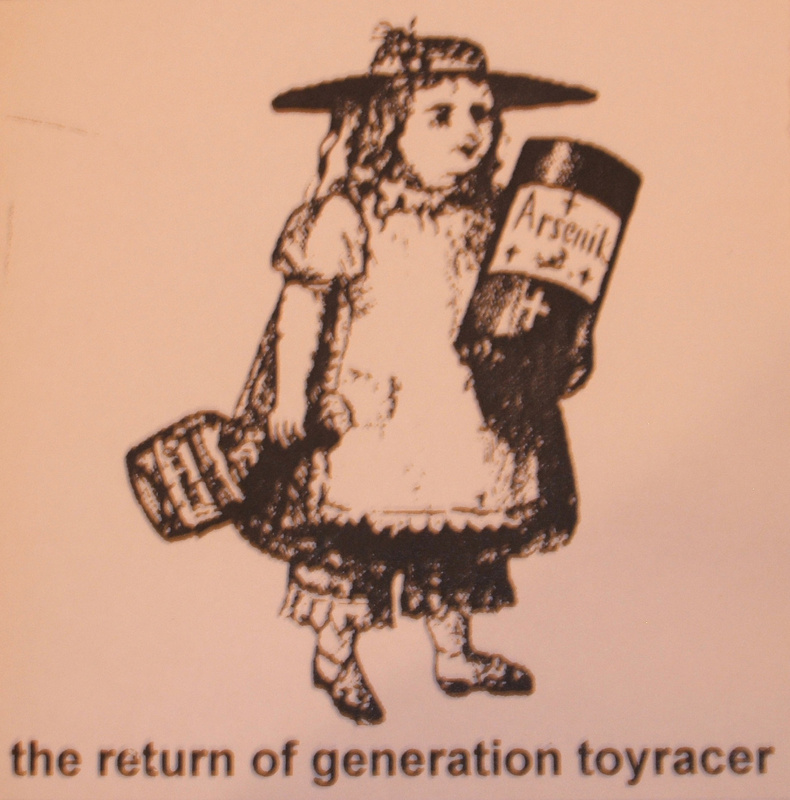 Going through the accumulated debris, I found this thing written years ago for a compilation album called The Return of Generation Toyracer (TOY004), featuring a track by my then-band Empty Vessels. And what better way to celebrate the future than by wanking over the past? ‘My favourite album is by 80’s combo Joie Extreme. The Sound of Whipped Dogs Miaowing has a literally unbearable atmosphere of foreboding and dread, with great hooks and singalong choruses. This voluptuous fog is testament to the genius of Des Essence and Vyv Feast. Whereas Essence was a protest singer distinctive for high-pitched shouting over primitive piano chords (ultra-rare early single “Dead Hill-Farmers Long Ago”), Feast wasn’t. So each song on their classic LP was recorded twice – once at half-speed, then with frequencies added that Feast claimed caused “spiritual violation”. Drummer Stifford was forced to hold his breath for each take; listen carefully and hear him sobbing on track three. …The work of a cocky, sleep-deprived and possibly quite drunk young man, but damn it was fun. This entry was posted on December 30, 2013 by mattfinucanemusic. It was filed under Thoughtz and was tagged with band, compilation CD, Empty Vessels, memories, New Year, Toy Racer Records, trash, writing.